How much does Pipedrive cost ? 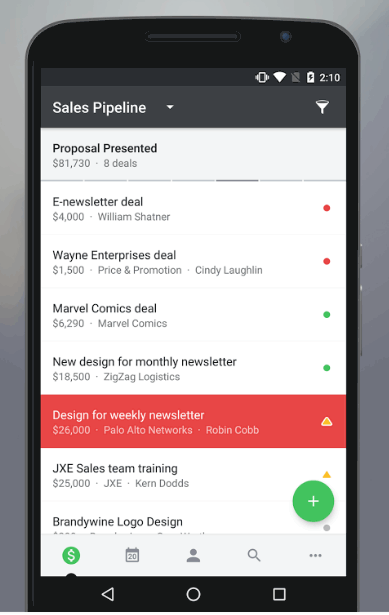 The pricing for Pipedrive starts at $12.5 per user per month. Pipedrive has 3 different plans such as - Silver at $12.5 per user per month, Gold at $24.2 per user per month and Platinum at $62.5 per user per month. 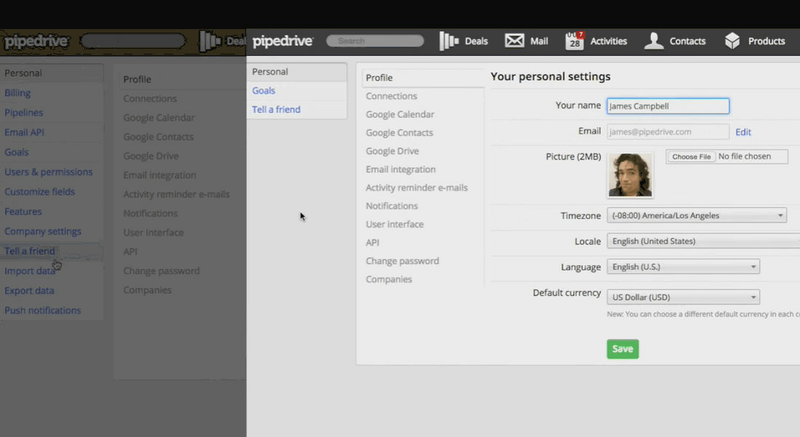 "Pipedrive is the best CRM "
Pipedrive has the exact functionality that we require as a tech start up. The only thing that I think could potentially be improved is the ability to replicate a pipe rather than have to set up all of the parameters from fresh. ""Show signs of improvement results in your deals""
A positive part is that Pipedrive serves to acquire every one of the subtleties of the customers, their data and the contacts that you have made with them to improve the exchanges you make with them and furthermore the clearance of the items. When you put new contacts in the framework if there is one rehashed, it isn't copied, just the individuals who were not before get into the framework, which encourages crafted by expanding your rundown of contacts. The business report of a lot of data that can be utilized to see which timeframes are the most beneficial to sell items, which components have worked better, which changes have been progressively effective ... In short to esteem profound the business zone of your organization. It would improve the versatile application so it had more capacities and that it is simpler to work with it. It is fairly mind boggling to utilize the application and comprehend its activity. The business region of an organization is fundamental and must be chipped away at so as to improve it. 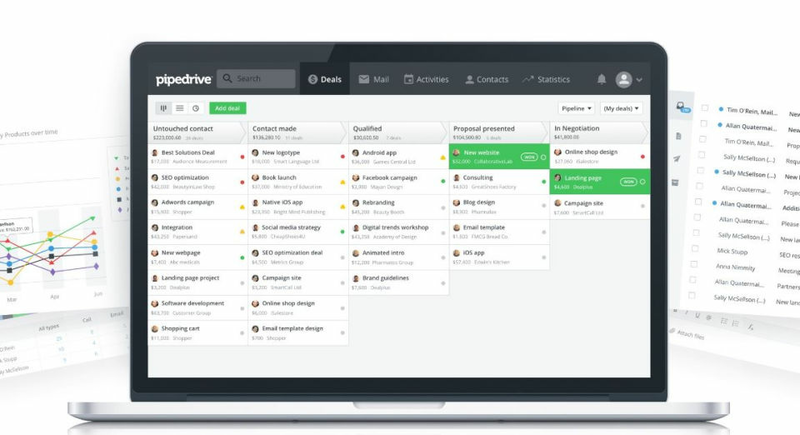 Pipedrive is a CRM that encourages the closeout of your items and investigation of data so you can accomplish most extreme gainfulness. Increment the advantage acquired with our items. By better understanding our business framework and having the capacity to acquire more data through customized reports, we have had the capacity to examine the information better and know which items are best working and make changes in different items to get more profit by them. Overseeing work and partitioning errands among individuals from deals groups is one more of the things we have had the capacity to improve by utilizing Pipedrive. 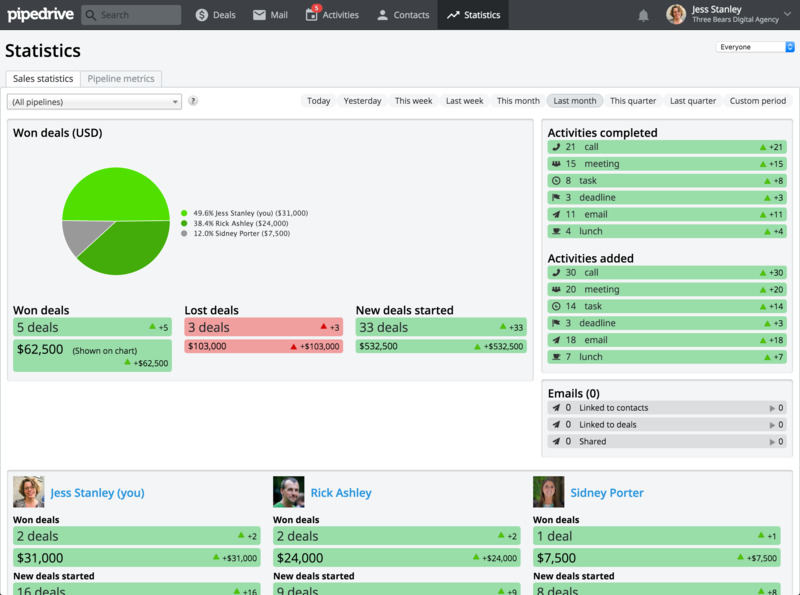 We like simple and the streamlined dashboard was easy to understand. p. The calendar option let us put dates to each task and all the notes. It syncs and integrates with Google products easily as well. The customer service team takes a lot of time to respond. , I am automating all this process with just a couple of clicks. Recommend it highly! 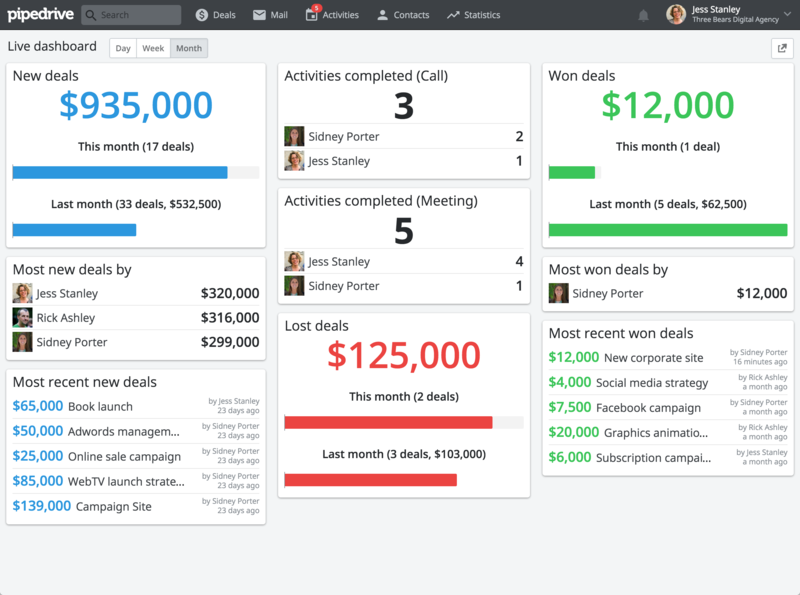 Pipederive is a great solution to sales force for small & medium companies. I am able to keep my contacts and updates in one file. I don’t have to click in and out of a file to be able to schedule an appointment time, follow up notes, and level what status my leads are. Every client each has their own database! 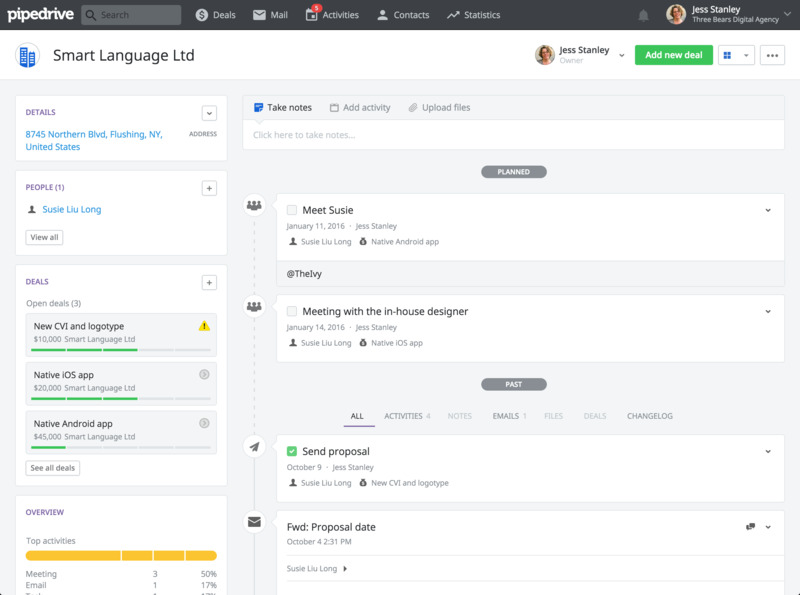 Definitely a great CRM. 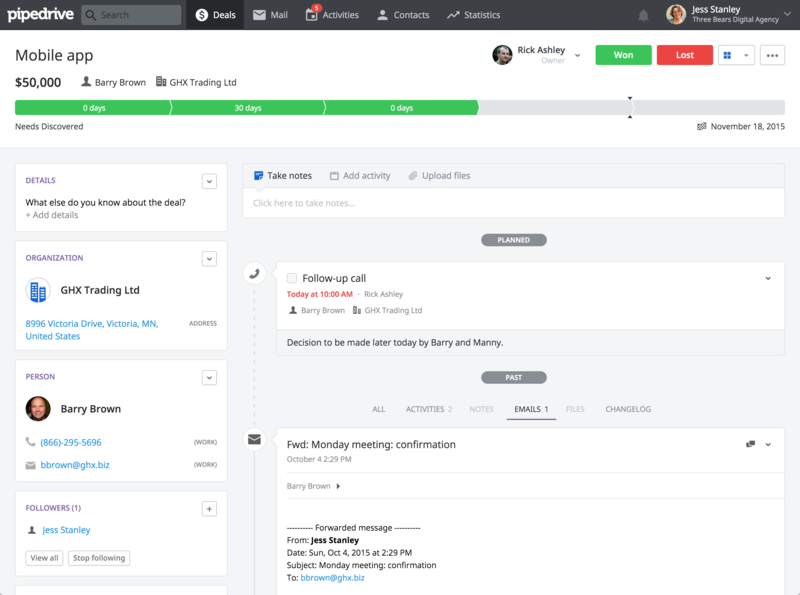 It is user friendly, affordable, and keeps you accountable and focused on closing more deals in the sales business. I work in real estate and before using pipe drive, I was all over the place with my Leads. No matter how new they were I had a difficult time remembering who I had or needed to follow up with to continue building rapport with my present and future clients. 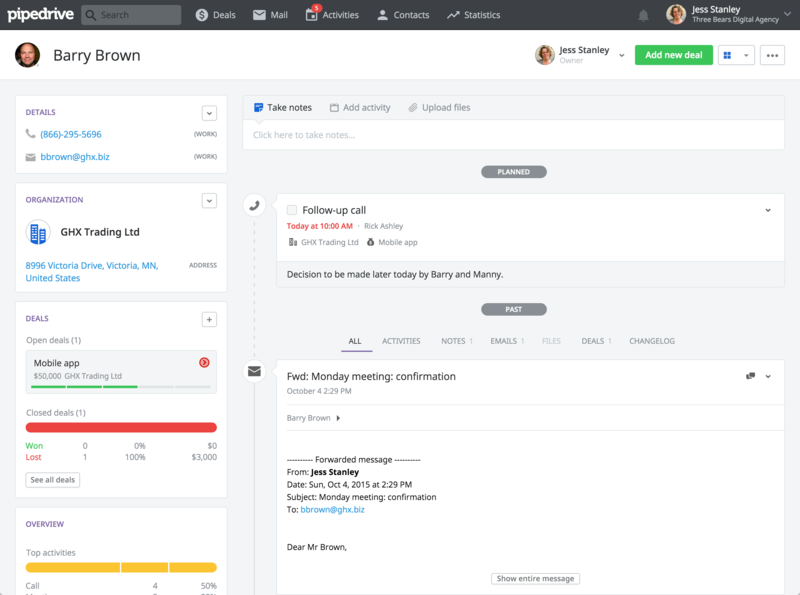 Definitely a great CRM to keep you organized and rid of the loose leaf papers! 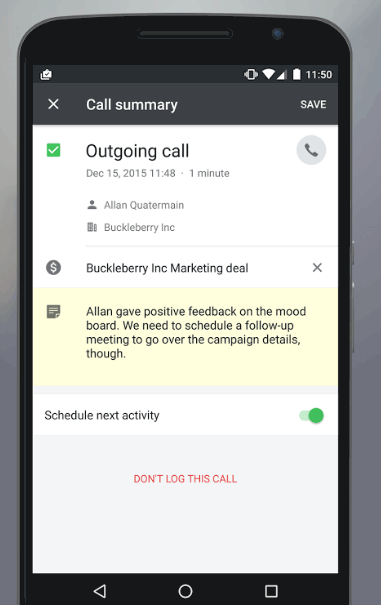 If you can't get good customer service, no product is worth it.Attractive interface. 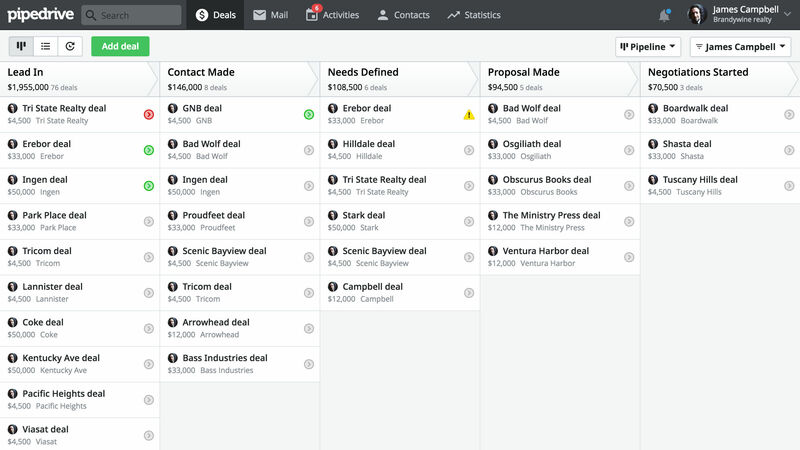 Ease of setting up stages for each part of the sales cycle. However, as noted below, when even the smallest issue arises there is no support that is truly helpful. Attractive interface. 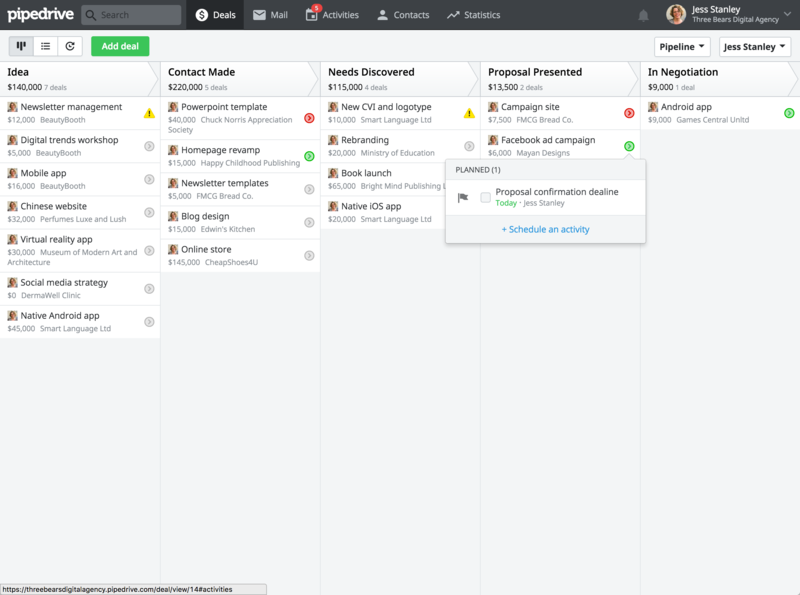 Ease of setting up stages for each part of the sales cycle. However, as noted below, when even the smallest issue arises there is no support that is truly helpful. 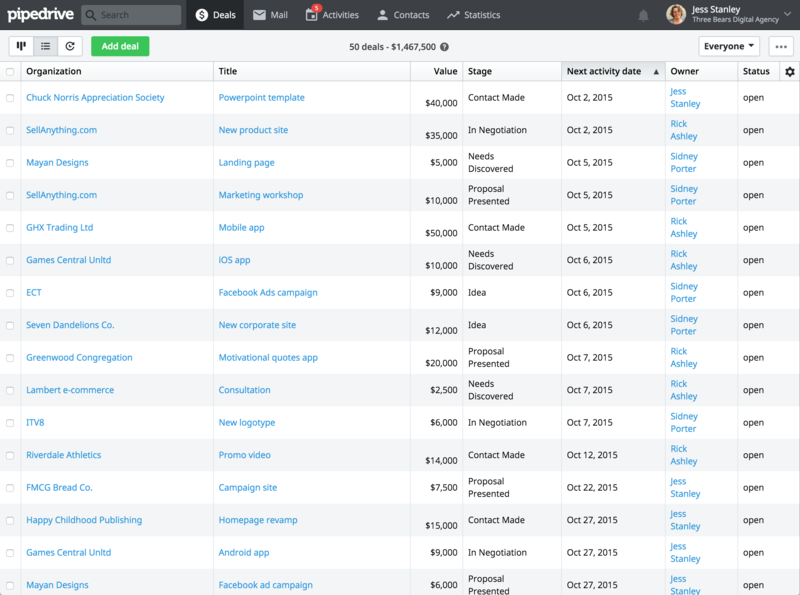 "It's a very good pipeline tool, crm feels hidden, but a lot to learn to stay on top off your notes." 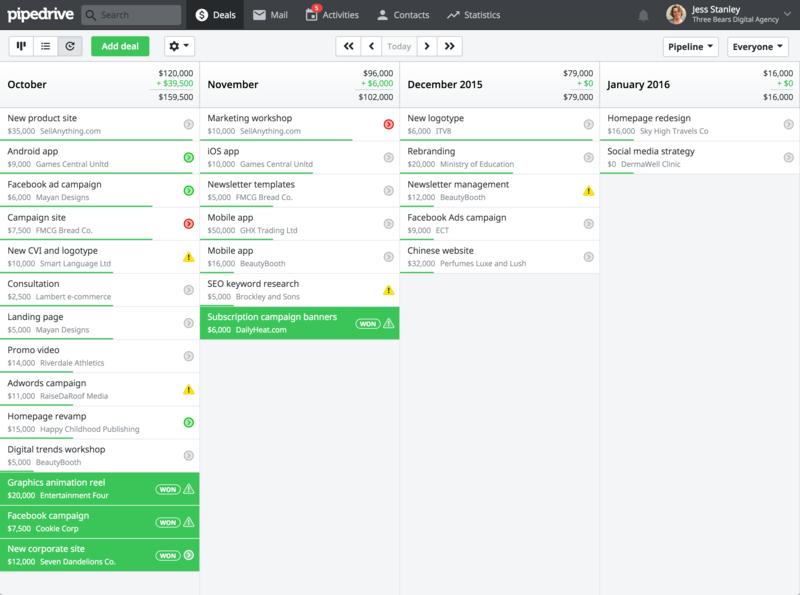 Visually seeing what stage you are in the sales process and activity reminders. Lack of crm or crm feels hidden, the big focus is the pipeline, but the crm for the customer should not be forgotten also.